Music enthusiasts and audiophiles, Black Friday will soon be upon us, and now is the time to get all that tech trinkets and gadgets you were saving up for so long. 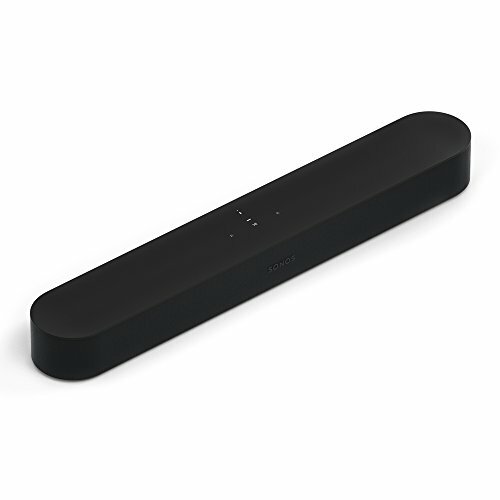 Both online and actual shops are offering deals you simply can’t refuse, and if you are looking for a high-quality soundbar, we’re here to offer predictions about the most popular sales and discounts in this department. You’ll notice that several soundbar models are planned for this year’s Black Friday sale virtually everywhere – Polk Audio’s soundbar system, Sonos Play, Klipsch Aw-650, and Sonos Playbase are just some of the models that we predict will take the spotlight next month. Let’s face it, no one is offering better deals than Amazon. This is one of the largest, if not the single largest online marketplace where you can order pretty much everything. They’re also pretty famous for practically giving things away on Black Friday, offering drastic discounts all the way. Last year they’ve done an amazing job with TVs, soundbars, PCs, and Laptops, and this year, in our humble opinion, shouldn’t be an exception. Vizio, Samsung, Bose, and other prominent brands will have their representatives on discounts this year, but we simply need to mention the ever-so-famous AmazonBasics – Amazon’s very own brand within a brand. We have strong reasons to believe that they’re going to put their own products on sale, both to honor the tradition and as means of self-promotion. Regardless of what you think about Amazon, they were, are, and will be among the best, and if you’re looking for the best deals, this is the place where you should begin your search. OneCall is an online marketplace where you can get all kinds of tech items, including computer speakers, home theatre speakers, outdoor speakers, stereos, subwoofers, and wireless speakers. They’ve decided to tease us with their starting list of Black Friday deals, stating that they “won’t reveal the special post-thanksgiving deals until 18th of November”. The starting list includes the JBL Flip 4 at a 9% reduced price, SVS Prime Satellite system at 10% lower price, the Polk Audio PSW 111 is available at 30% lower price, and what we think is the spotlight taker – Klipsch AW-650 will be available at a 42% reduced price. Overall, this is a perfect place to grab some sweet Black Friday sound bar deals, so if you’re up for it, you can check them out here. Best Buy is, well, one of the best places to sport good deals, especially on Black Friday sale. In fact, this online marketplace offers sales quite often, and sound bars just happen to be hot this year. The list is pretty long, and the fact that they’ve put on a starting list of sales and deals shows a lot of promise. What’s more, Best Buy is one of the only online marketplaces which are offering the “price match guarantee”. In fact, they can only scale the prices even lower, which we expect will be done in mere minutes before the big day. Target is also putting up a major Black Friday sale. Their initial list of discount products is comprised of Vizio’s 28” 2.0 Soundbar, Vizio’s 36” 5.1 sound bar system, Bose’s Solo 5, Sonos Playbar, Bose Sound Touch 300, and more. Even though there are some 15-20 articles on their menu at the moment, it’s only obvious that this list will be expanded with two, if not three times in size. Target has a shiny reputation, and every year their Black Friday sales end in empty shelves and satisfied smiles on customers’ faces. Even though Shopzilla isn’t as famous as Amazon or Best Buy, we recommend that you visit this online marketplace on Black Friday, as they’re offering some of the cheapest premium-quality sound bars. Among the big names, you’ll see Vizio, Samsung, LG, Sonos, Jensen, and Klipsch, all at down-to-ground low prices. The preliminary list of sales is quite long, and you can check it out here. We recommend that you check out Amazon, Best Buy, Target, and Shopzilla before you can conclude which place offers the best deals.